I was very lucky to be invited as a guest to the EFL’s Checkatrade Trophy Final on Sunday 8 April when Lincoln City lifted the cup on their first visit to Wembley, beating Shrewsbury Town by a single goal. Lincoln have a proud one hundred and 33-year history, yet this was the first time they’d reached the ‘home of football’. Their fans certainly enjoyed it – I saw many of them bedecked in Red and White stripes milking every second of the occasion from before midday until long after the final whistle – and maybe they had in the back of their mind that, based on the stats alone, it could be the year 2151 before they get to go back, so they’d better make the most of it. Or they could be there again next month. They have bucked that trend of clubs involved in cup runs being distracted and letting their league form suffer. In fact, since overcoming Chelsea in the Checkatrade semi-final, their League Two form has propelled them into the play-off places and they have every chance of being able to look back on the final as a dress rehearsal for a play-off final for a place in League 1. And that’s if their late push doesn’t take them into the automatic promotion places. Whether they make it or not, it’s been an incredible journey for The Imps; lest not us forget that last season they not only reached the quarter-final of the FA Cup before losing to eventual winners, Arsenal (beating Burnley, Ipswich and Brighton on the way to that round) but were also National League Champions as well. A once-in-a-generation FA Cup run, a championship, a first trip and win at Wembley and a potential play-off season capped with another promotion. And all in two years. Some clubs take fifty years or more to experience that kind of on the field success, but the club recognise that this truly is a golden moment in their long history. They’d also be the first to remind people, at the club and outside it, that it hasn’t always been like this. Before the National League championship last season, they’d spent six seasons in that division, not finishing higher than thirteenth position in any of them so, like all clubs, they’ve been through times when success on the pitch can’t be relied upon. That’s a big part of the message we try to get across to leagues and clubs in the work we do. Part of ‘The Fan Experience’ has to sit separately from winning and losing. A supporter will, by the very nature of the beast, go home happy if their team win and less so if they lose, but it can’t be – and mustn’t be – the be all and end all. If it is, then lots of clubs are going to have problems because unless they change the rules, only an absolute maximum of thirty-six teams can win on any given EFL weekend and in reality, only about twenty or so actually will. And promotion is limited to ten clubs per season out of the 72 in the EFL, and whilst three clubs will achieve their ultimate goal of reaching the Premier League, seven will fall down a division and two will drop out of the league altogether. The point is that only a fairly small percentage of clubs will have quantifiable success on the pitch and a few more will have what they deem to be a successful season with either consolidation or a run in one of the cups. Many clubs will consider the season a failure, either tangibly in the form of relegation or because they’ve failed to meet their, and their supporters, aspirations. If we take The EFL Championship as an example, this season alone more than half the clubs in there will have set out in August with realistic hopes of mounting a challenge and following Brighton, Huddersfield and Newcastle into the ‘promised land’ yet only a small percentage can and will achieve it. So, the numbers would suggest that gambling on winning games, cups or promotions is risky to say the least. And even on the rare occasions it does pay off, it’s only a short-term fix as we all know what fans that only come when they’re winning do when they’re not. Creating a great experience for supporters is one way of mitigating against that risk. We’re not suggesting that it removes the pain of a defeat, or that winning and losing isn’t important but as a club (the whole club rather than the players on the field) there is no control over whether it will all be all right when Saturday comes. Rather, anything can happen; especially in unpredictable and fluctuating leagues like the EFL and National League, and often does. It’s that up and down nature of the game that keeps us – as supporters – enthralled and ever hopeful, even though we know that, ultimately, the chances of it not working out as we’d like are high. 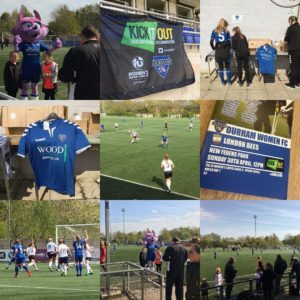 So, what we are championing is an approach where clubs get the off-field stuff right regardless; because that’s the best way to increase attendances, increase advocacy, increase spending inside and outside stadiums and boost reputations and the way the club is perceived by the outside world (with the media ever more interested in ‘off the pitch’ matters); plus, it’s also the right thing to do. After all, whatever happens during the ninety minutes, we all want the paying fan to have as good a time as possible, don’t we? 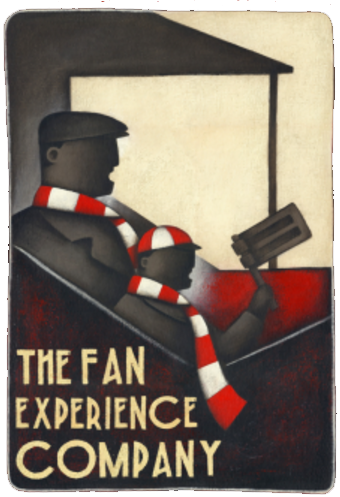 We know from the work and research we’ve done in the last sixteen years that some fan groups, such as families, are less worried about the result and more about the overall experience. A promising trend but also significant, because this is a rapidly growing section of a club’s fan base and introduces the next generation when they are young. As clubs such as Middlesbrough have identified, if you get a young child hooked at that age, they become fans for life. And away team followers, so often the scourge of clubs in previous decades, are another group of fans who bring vital income, atmosphere and colour to the match day experience and yet very often travel (some very long distances) in hope rather that expectation of going home with three points. Another set of fans who deserve, especially with the miles covered, to have a positive experience off the pitch whatever happens on it. It’s no coincidence that a greater, more concentrated focus on the family and younger fans, as well as away fans, has seen substantial increases in attendances of these groups over the last few years. We know, for example, that it’s likely that the huge upturn in kids coming to games has been a major factor in the EFL achieving its highest aggregate attendance figures since 1959. Not many modern football supporters, including away fans (and certainly not families), are going to pay good money to get soaked, ignored or settle for a poor experience. With all the other competition for their disposable income, they expect good facilities, communication, food, merchandise, parking and staff as a minimum requirement. And value for money is important too. They won’t just turn up regardless of how they are treated in the way they might have done years ago. Over Easter, I travelled on a tram with a group of young(ish) away fans who said they had made the decision to miss the next home match because the kick off time had been moved and they had ‘better things to do’. That’s the direction we’re traveling in whether we like it or not. The days when a father and son would turn up every Saturday with their flat caps and rattles (an image that we proudly enshrine in our company logo) are changing. 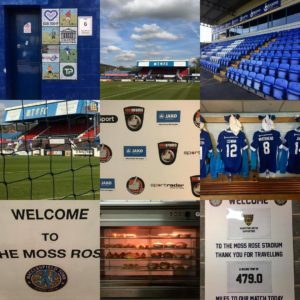 Clubs have to realise that and understand that there are other factors at play that influence ongoing and future attendance. The players on the pitch can only kick a football through the white posts and hope they do it more times than the opposition. And if their team don’t win the league, get to Wembley or the play offs, or even get the three points that day, they might just find enough reason in those other factors to give it another go anyway.